« Will F-16 vs Gripen E battle spell doom for LCA-Tejas MkII Project? Will India develop its own light tank to Counter Chinese Xinqingtan light tanks? What are India’s options? China’s People’s Liberation Army (PLA) for past few years has been carrying out high altitude trails of a mystery tank which was described as a new light tank, last year in an arms exhibition for the first time Beijing officially acknowledged and showcased Xinqingtan light tank to the world. The 35-tonne Xinqingtan tank which comes with a 105mm main gun and a 12.7-millimeter machine gun. Powered by a 1,000 hp 8V150-type engine which has been fine-tuned to operate at high altitude where there is an issue of lack of Air and while the tank comes with basic Armour and crew protection which cannot MKII as world class in any way. Xinqingtan tank will provide required firepower which China’s People’s Liberation Army (PLA) requires at such height since it is near impossible to deploy and operate medium sized T-72 series type tanks at such heights. PLA has initial requirement for nearly 300 Xinqingtan light tanks which can be used for recce and infantry support operations in mountainous terrain. Indian Army on other hands does not have any light tanks in its inventory but does have a history of successfully deploying and winning wars at High altitudes due to the deployment of light tanks. American M3 Stuart Light Tank of WII era saw action when it was in Kashmir in first Indo-Pakistan war of 1948 and AMX-13 light tanks in 1965 war in Kashmir region performed exceptionally well against superior Medium class tanks. Light Tank near Indian border by Chinese People’s Liberation Army (PLA) will require adequate counter sooner or later. Since the tank is about to enter production soon and Chinese Defence manufactures will be able to field required initial order for 300 tanks in a matter of months rather than years against Indian border. Indian Army will need to carry out its internal assessment before it can decide if there is a requirement for deployment of Light Tanks after M777 155 mm howitzer is been acquired from American for deployment in this sector. India can acquire Russia developed 2S25M Sprut-SDM1 new airborne light tank which has fire control elements of the T-90MS main battle tank. 125 mm 2A75M smoothbore tank gun clearly has better fire power than China’s 105mm main gun seen on Xinqingtan tank. At 18000 tonnes this tanks can be para-dropped with the crew on board from Il-76 cargo aircraft. 2S25M Sprut-SDM1 can fire all types of ammunition designed for the T-72 and T-90 main battle tanks which it added advantage for India since we already operate both tanks in our inventory . Sprut-SDM1 uses 500 hp UTD-29 multi-fuel diesel engine which has a un-refueled range for 500km and can operate at speeds up to 70kmph in normal terrain. Interestingly the Second option for India which can be short term alternative for time being could be the proposed model of the Light tank based on Tata-DRDO designed Wheeled Armoured Platform (WhAP) platform. 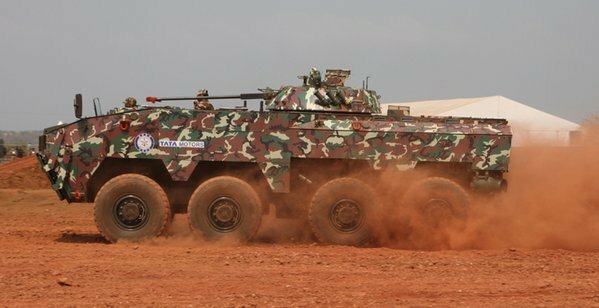 25 tonne WhAP armoured fighting vehicle basically has been developed to replace the ageing Soviet BMPs of the mechanised infantry wing but in several variants Proposed by TATA-DRDO, one of the options is the development of a Light tank based on a WhAP platform. 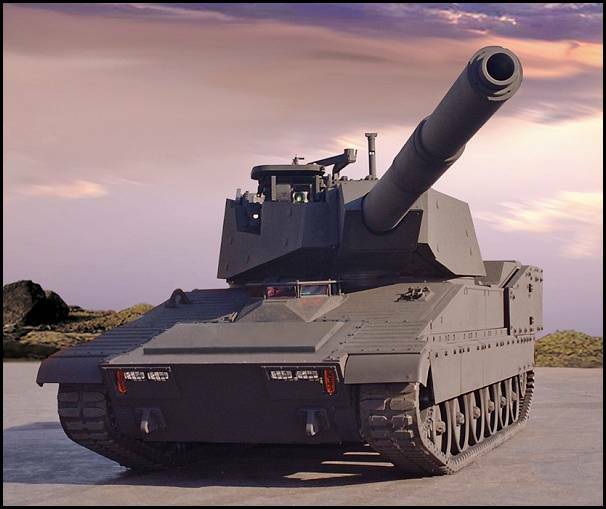 WhAP Light tank will have 105mm main gun which will be able to carry crew and can be used for recce and infantry support. DRDO a few years back as part of its Internal projects had developed light tank based BMP-2 amphibious infantry fighting vehicle. 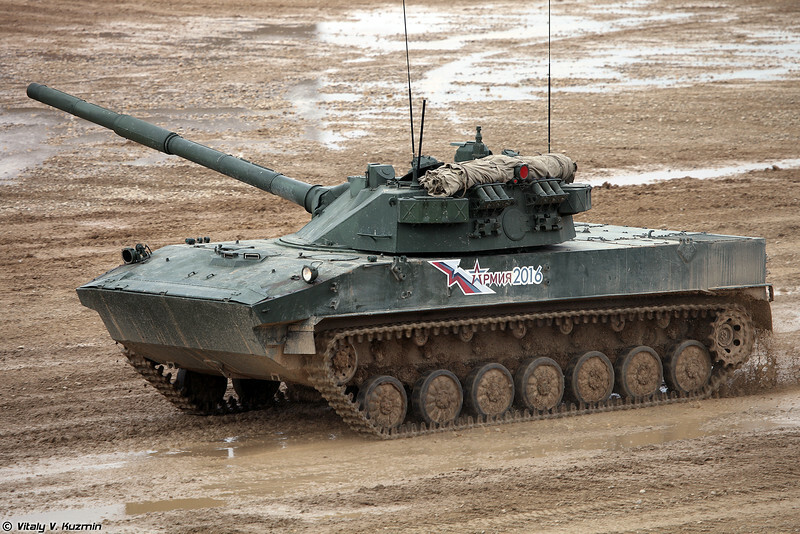 BMP-2 Light Tank as it was called came with 105 mm Gun along with French GIAT TS-90 Turret. Tank never went for Army trials and also never went into production. India also has the one last option of developing new light tank which can match Xinqingtan tank size and weight from scratch locally. India with a public-Private partnership can field such light tank in quite a short if Indian Army comes up with its requirements. India has all the technology required to develop such light tanks in the country and also has all the backing of all International OEMs for the supply of components to the new project. Tata Motors in past have said that in association with the Defence Research and Development Organisation it is very keen on developing full scale tracked Light tank from scratch if desired by Government.